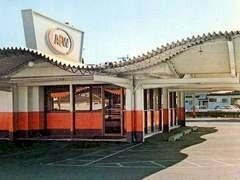 There are very few restaurants reminiscent of the original drive-ins. They weren't just for fast food. They had full menus with service using fine china and real silverware. Some of the Big Boy restaurants come awfully close. Ironically, in Texas we were looking for an air conditioned fast food restaurant on the highway. We pull into a SONIC and learn that it's a true drive in (stay in your car). The best restaurant and/ or fast food sandwich I have ever had to this day was made at a drive-in restaurant in my home town. It was a barbeque beef sandwich with pickles and mustard. Unfortunately, the place is no longer in business.